While plot and character are essential to stories, many works become popular because they have a great concept, like an evil and seductive gold ring or an encyclopedia for hitchhiking the galaxy. What makes a great concept? Ask yourself if your idea has these five traits. Old concepts don’t make waves. If you write a faux Lord of the Rings or Buffy 2.0, you’ll never escape their shadow. Your audience has already been there and done that. The most influential works of a generation were those that took a risk by innovating. But a premise doesn’t have to be completely new to be loved. You can add novelty to well-loved concepts by turning them on their head. What if instead of being the chosen one, your hero isn’t the chosen one? In fact, your hero is the only person in their village who isn’t chosen. While not always ground-breaking, subversions like these will attract an audience. A good concept can be reduced to something simple. Sure, the story might be complex, but not the concept itself. If you can’t state it in one sentence, rethink it. Condensing your ideas will help ensure your story is focused and powerful. Plus, you’ll thank yourself when it comes time to write a summary or elevator pitch. Potential fans won’t spare much effort to investigate your story before moving on, so you’ll need a quick pitch to get them interested. Your concept should make imaginations run wild. That’s because it opens a world of possibilities your audience has never considered. Generally, that means your premise creates an unusual situation with wide-reaching implications. 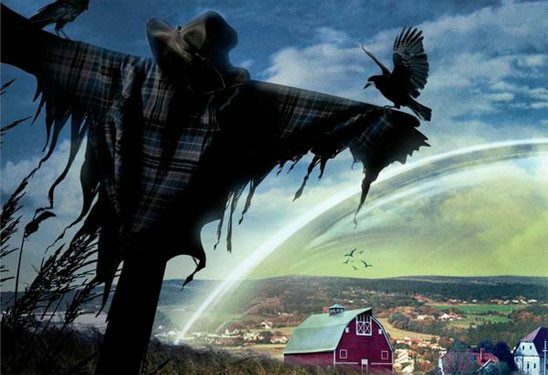 Let’s take Steven King’s Under the Dome as an example. The town of Chester’s Mill, Maine, is suddenly surrounded by a forcefield that isolates it from the rest of the world. This bizarre situation has immense ramifications for those inside the town. Some people get stranded away from home or separated from loved ones. The town can no longer send or receive food and supplies. And if something bad happens, no one can escape. A concept that comes bundled with conflict is not only more entertaining to audiences but also gets your story off to a healthy start. Creating conflict just means your premise includes a big problem, whether it’s for all of humanity or just your hero. You get a bonus if it creates a big mystery as well. It’s possible to add conflict to an existing premise. Instead of “One thousand people set sail in a space ark in search of a new home,” you could try “Escaping radiation on Earth, the last of humanity flees on a space ark with dwindling supplies.” When in doubt, create more hardship and suspense. Concepts that are only tangentially related to the story are worth little. Audiences may start in, but once they realize it’s not really about the premise they liked, they’ll quit. A great story takes a strong concept and shows the audience what it means for the characters and the world. You’ll only accomplish that if your plot and premise are closely intertwined. Keep the concept relevant for as long as possible. If it involves a challenge your hero must face, wait until the climax to let your hero completely overcome it. Testing your concept is easy. Just run it by anyone who won’t feel obligated to feign interest. If they keep asking more about it, you’ve got a winner.